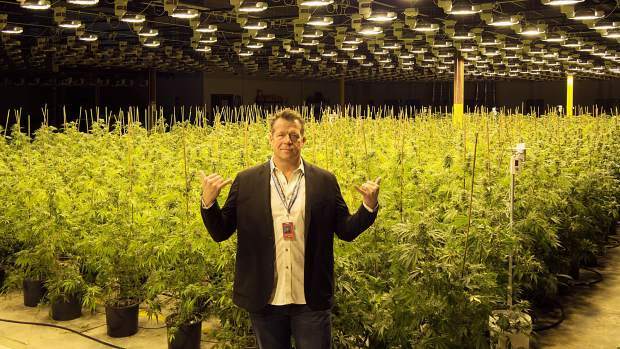 The founder of Green Man Cannabis, a six-time winner of the Cannabis Cup with two dispensaries in Denver, Christian Hageseth, said he plans to have 50 locations across Colorado operating under the name “ONE Cannabis,” including a new retail marijuana dispensary in Frisco. The founder of Green Man Cannabis, a six-time winner of the Cannabis Cup with two dispensaries in Denver, said he wants to build “the world’s most powerful cannabis business franchise system” under a different brand. Describing a massive expansion plan, Christian Hageseth said he expects to have 50 locations across Colorado within the next three years, including possible locations in Aspen, Eagle County and Steamboat Springs. However, new retail sites have “already been identified” in Denver and Frisco. Experiencing early success with medical marijuana in Ohio, Michigan and California, Green Man Cannabis currently has two dispensaries in the Denver area. All of the new locations, however, would operate under the ONE Cannabis brand, said Hageseth, who’s the CEO. The majority of the 50 locations planned for Colorado would be with independent dispensary owners through franchise agreements, he said, adding that he’s interested in expanding through “strategic franchise partnerships,” which he sees as the next big step in the marijuana industry, especially since federal law prevents products from being shipped over state lines. Unlike corporate-owned marijuana dispensaries with multiple locations all owned by one corporation, franchising would work much like it does with fast-food restaurants, coffee shops or other businesses, Hageseth said, in which licensing agreements help support the small business owners while expanding the reach of the bigger brand. As for Frisco, Hageseth wouldn’t say where the store might go, only that he’s nailed down a location he thinks will ultimately be approved by town officials and that he has been working on the deal with the landowner for years. Frisco Town Clerk Deborah Wohlmuth handles licensing for the town’s marijuana dispensaries and, reached Tuesday, March 6, said she was unaware of Hageseth’s plans. She said she checked with the folks at Frisco Community Development, and they hadn’t heard anything about it, either. Frisco currently has two retail pot shops — Native Roots and Tumbleweed — not too far from each other on opposite sides of Summit Boulevard. Even though Hageseth’s plans are news to her, Wohlmuth said Frisco getting a third dispensary is not entirely out of the question, provided it meets all of the town’s requirements, which remain rather strict. Some of the town’s rules forbid any retail dispensary from being within 500 feet of a licensed child care facility, school, halfway house, correctional facility or residential dwelling located inside a residential district. Retail marijuana businesses also must be at least 700 feet away from any other medical marijuana business or retail marijuana establishment, and those are just some of the stipulations. “It’s more complex than just a number,” Wohlmuth said, adding that “if he’s a got a location that’s been approved by Community Development and meets all of the zoning requirements,” she could approve a permit.